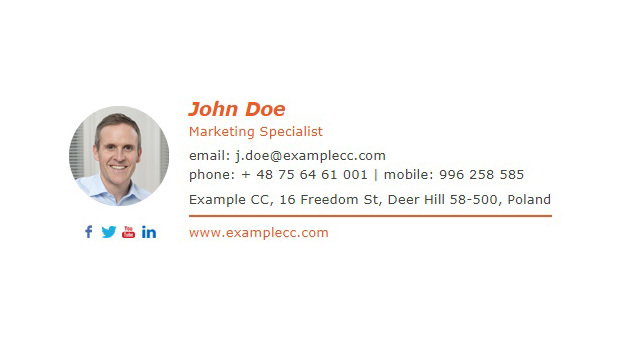 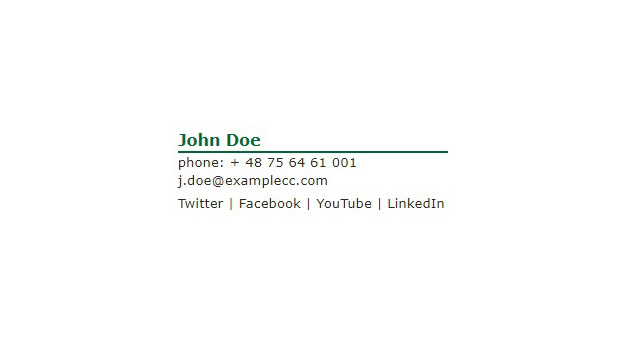 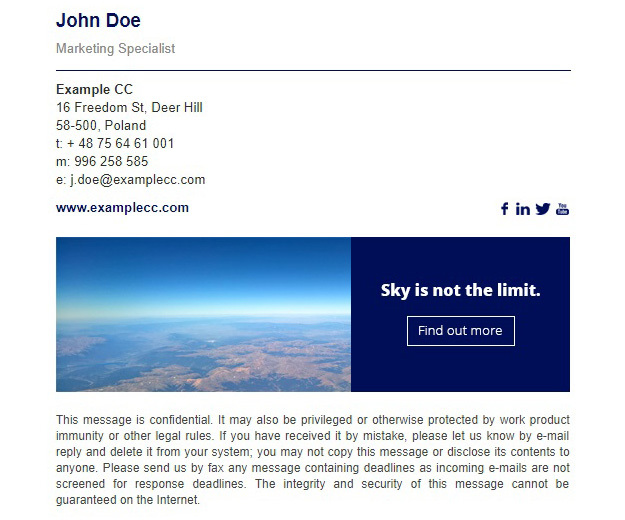 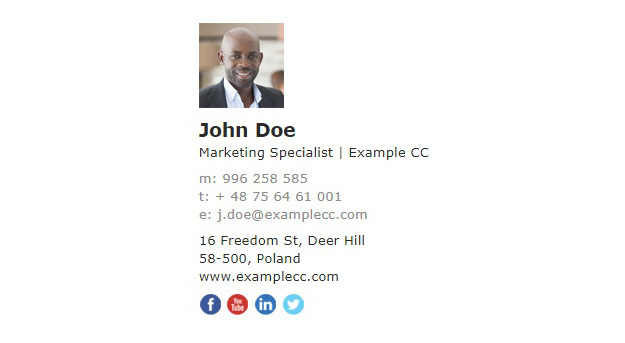 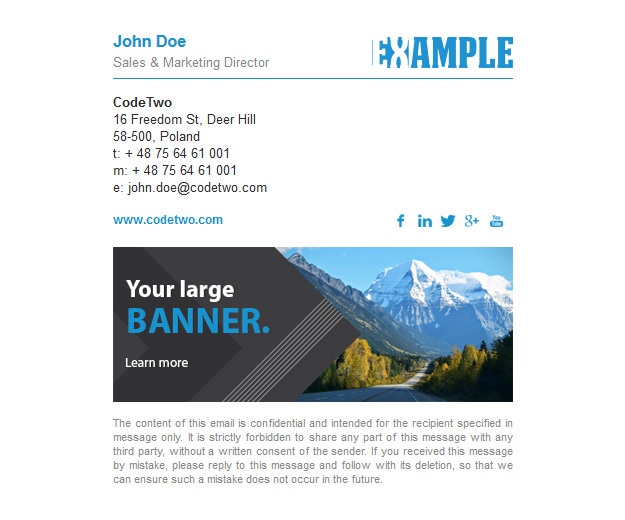 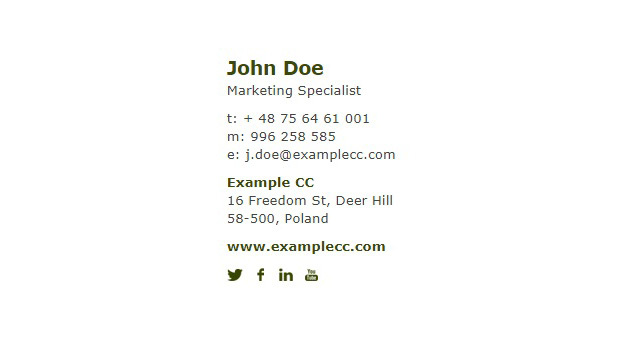 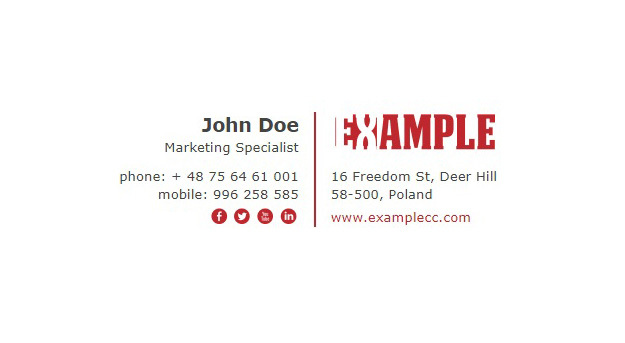 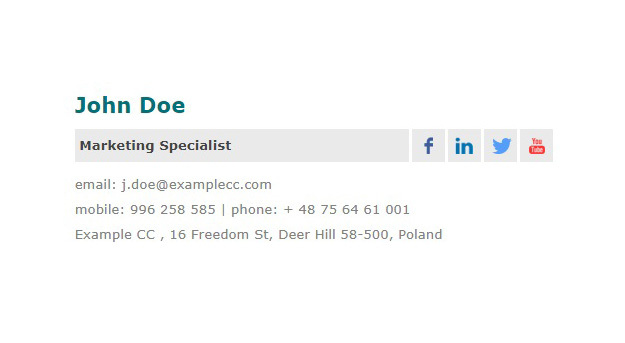 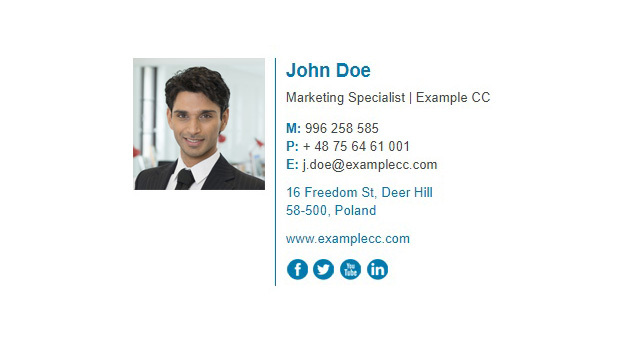 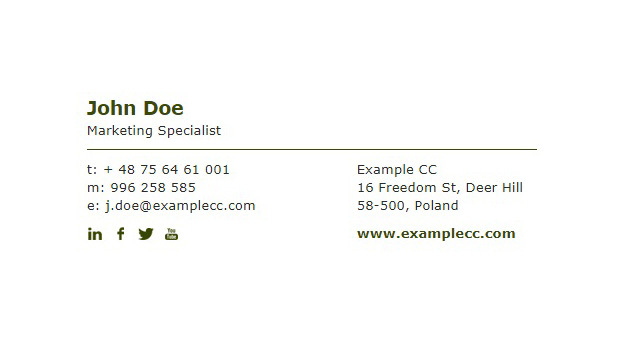 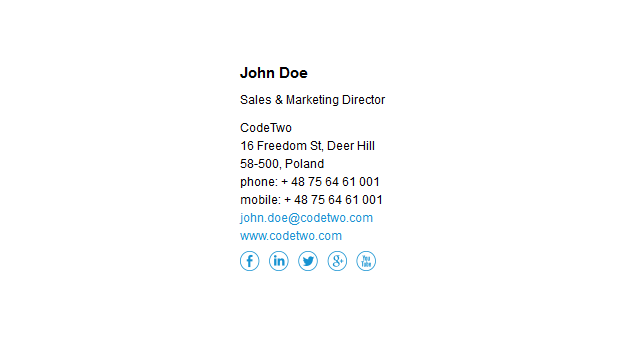 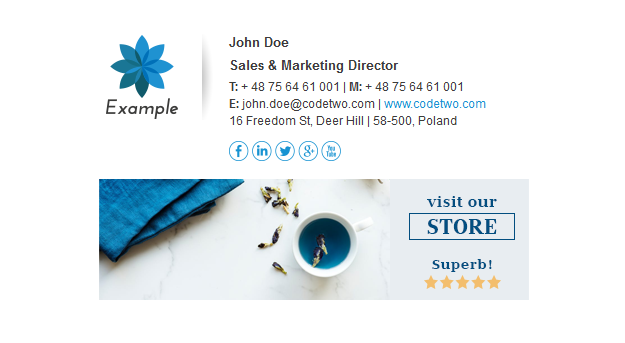 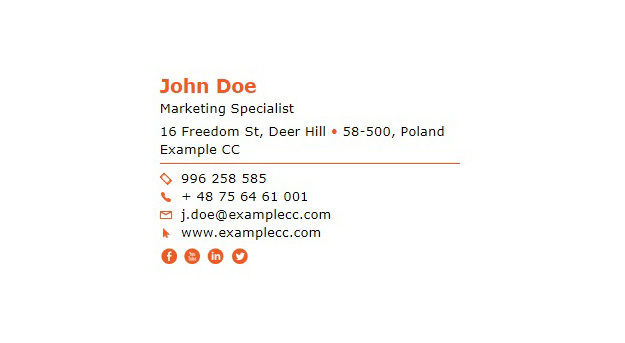 If you are looking for free email signature templates that do not require any HTML coding, you are in the right place. 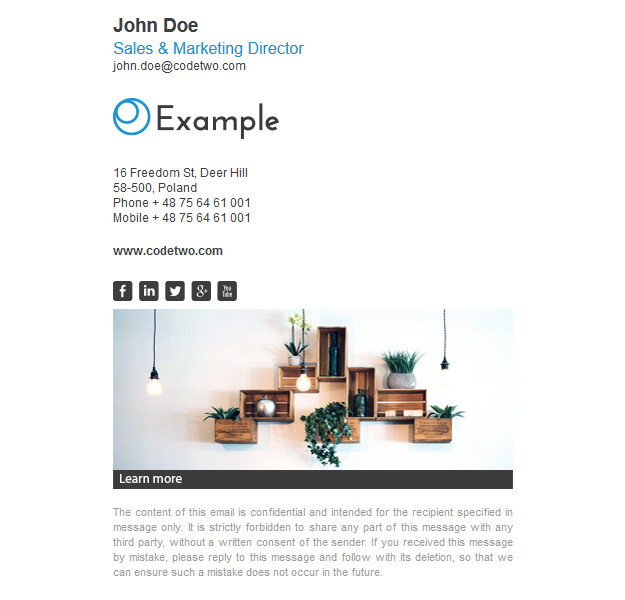 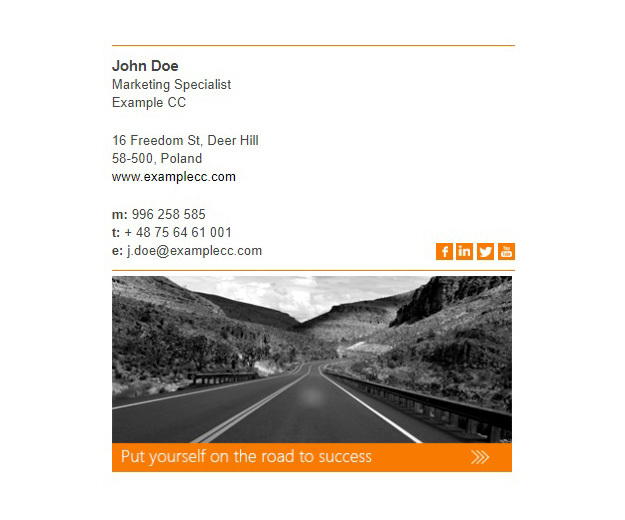 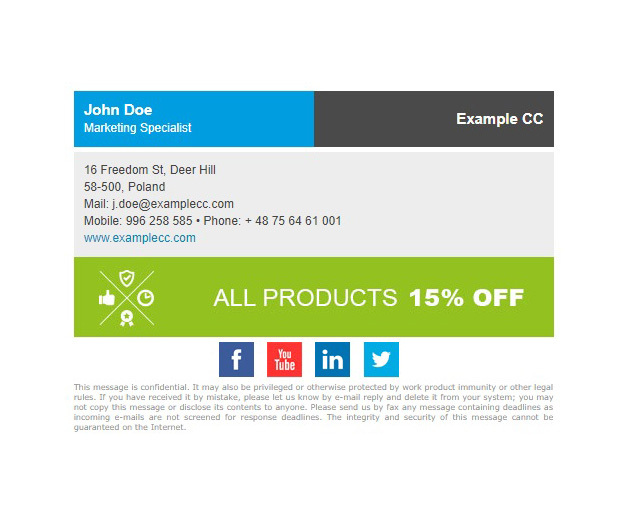 Here you can download ready-to use signature templates of various types and designs for both business and private purposes. 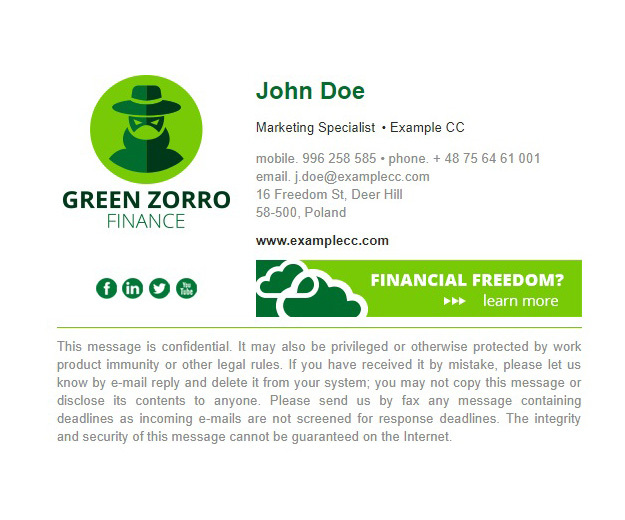 Depending on your needs, you can choose signatures with a basic design or advanced projects with graphics, logos, user photos and marketing banners. 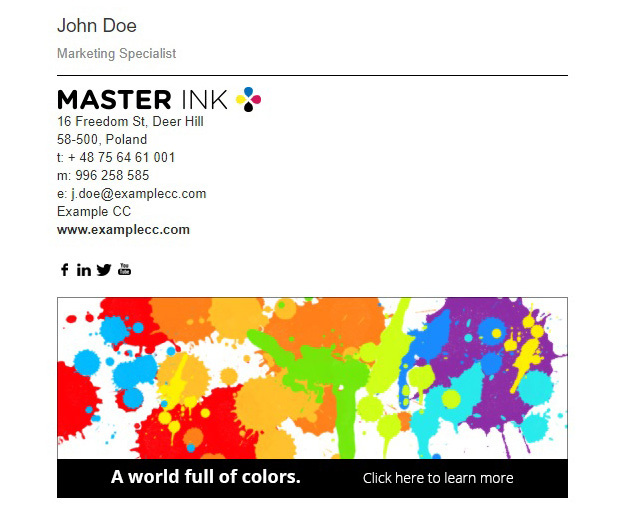 Use the filters below to limit the list of templates to those that meet your needs.